Each and every diamond is a unique stone with very specific qualities. These qualities are used to establish its value. These qualities fall broadly under the four C’s: Colour, Clarity, Cut and Carat weight. It was only in the middle of the 1900s that a global agreed-on standard was instituted however. Until the middle of the twentieth century, there was no agreed-upon standard by which diamonds could be judged. 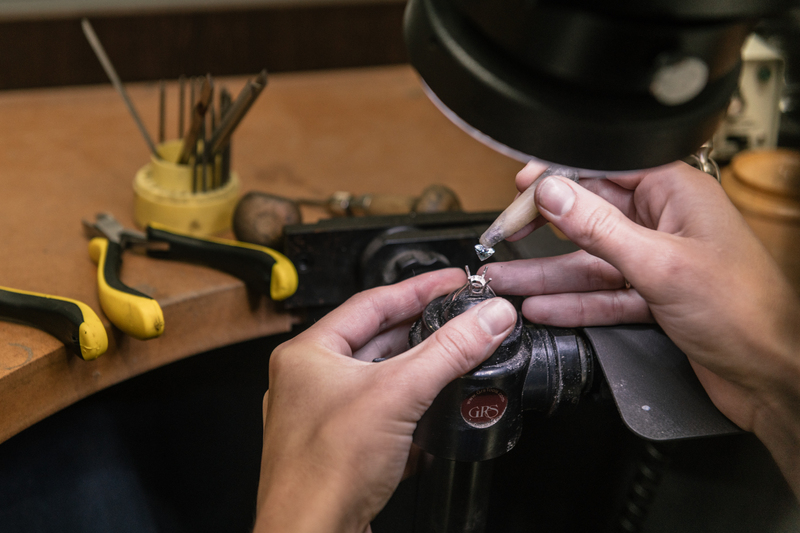 GIA created the first, and now globally accepted standard for describing diamonds and today, the 4Cs of Diamond Quality is the universal method for assessing the quality of any diamond, anywhere in the world. Read more here. What does this the universal language of the four C’s mean for you, the customer? You have the power to understand exactly what quality and value of stone you are buying. We are very excited over the prospect of making your dream statement pieces and look forward to meeting with you. Please do feel free to contact us if you have any questions.